Stay in step with us as we stay in step with Christ! Here is a little bit of what is around the corner for our Tribe from a teaching perspective on Sundays. If you want to see more of what happens during the week and off-site, there is plenty of that too! Check out the Church Calendar. The invitation of Jesus to come follow Him, walk with Him and learn His ways is the most incredible invitation that we will ever get, and at Easter time, we want to dig into the final days of Jesus before the crucifixion. 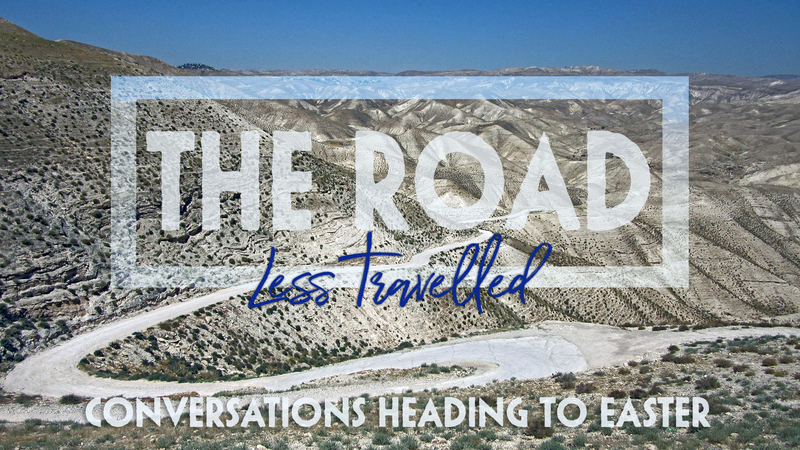 The amazing thing is that we don’t just have the narrative of where He went as he entered Jerusalem and what happened with Him, but John also captures for us the conversations along the way, where Jesus poured out some of the most important instruction, examples and even prayers for His disciples and the ones who would believe based on their witness. That means you and me! Join us as we follow along the Road Less Travelled.